Curry, John, M.D., a distinguished Catholic physician and writer, was born in Ireland early in the 18th century. He was descended from the O'Corras of Cavan, who lost their estates in the wars of 1641-'52 and 1689-'91. [His grandfather, a cavalry officer in James's army, fell at Aughrim.] Disqualified by his religion from obtaining a degree in Ireland, he went to Paris, studied medicine for several years, and took his diploma at Rheims. Returning to practise in Ireland, he rose to eminence as a physician. The incident that impelled him to take up his pen in defence of his co-religionists is thus related by his editor, Charles O'Conor: "In October 1746, as he passed through the Castle-yard on the memorial day of the Irish rebellion of 1641, he met two ladies, and a girl of about eight years of age, who, stepping on a little before them, turned about suddenly, and, with uplifted hands and horror in her countenance, exclaimed, Are there any of those bloody Papists in Dublin? This incident, which to a different hearer would be laughable, filled the Doctor with anxious reflections. He immediately inferred that the child's terror proceeded from the impression made on her mind by the sermon preached that day in Christ Church, whence those ladies proceeded; and having procured a copy of the sermon, he found that his surmise was well founded." He combated such bitter prejudices in a Dialogue. Its publication created a great sensation, and it was replied to by Walter Harris. Dr. Curry rejoined in his Historical Memoirs. In 1775 he published anonymously An Historical and Critical Review of the Civil Wars in Ireland. Dr. Curry was one of the founders (with Mr. Wyse, Mr. O'Conor, and a few more) of the first Catholic Committee, which met privately in March 1760, at the Elephant Tavern in Essex-street, Dublin — the forerunner of the powerful Catholic Associations which seventy years afterwards, under O'Connell, achieved Emancipation. He died in 1780. The most important of his works, enlarged from his own MSS., were edited at Dublin in 2 vols. in 1793, by Charles O'Conor. Besides his political writings, he was the author of works on fevers, published in 1773 and I775. Mr Wyse, in his Historical Sketch of the Catholic Association, bears the following testimony to Dr. Curry: "Dr. Curry in any period of Irish history would have been a remarkable man. . . His whole life was a series of the most judicious and active benevolence. . . To his country true, a disinterested politician, unswayed by the puny vanities of little men, feeling deeply his country's wrongs, but never speculating upon them for distinction and honours to himself, . . [he] seemed particularly and especially framed for times the most difficult in our history." Two of his sons were officers in the Austrian service. 73. Catholic Association of Ireland: Thomas Wyse. 2 vols. London, 1829. 96a. 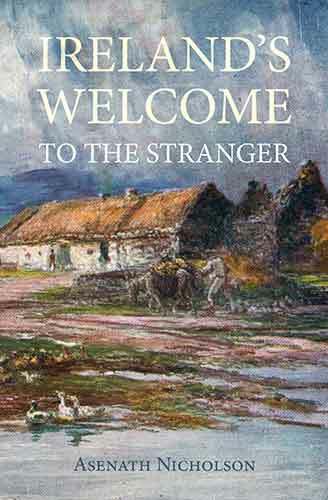 Curry, John: Review of the Civil Wars in Ireland. Dublin, 1793.